This month on Detroit Jazzstage,Terri Pontremoli, the Executive Director of the Detroit International Jazz Festival, sat down to discuss this year’s lineup. For more than a quarter century, the Detroit Jazz Fest has entertained millions of fans with jazz legends ranging from Herbie Hancock to Yusef Lateef and Ron Carter. Today, it ROARS on six stages over four days, with blues, gospel, R&B, and one of the finest jazz lineups on the planet. The festival also offers educational events, daily second-line parades, fire works, and rare opportunities to meet the artists. And it’s all FREE! In 2008, the Detroit Jazz Fest will celebrate the rich musical traditions of Philadelphia and Detroit and the “Trane” that connects them. Billed as A Love Supreme: the Philly/Detroit Summit, the festival will feature Philadelphia native and renowned bassist Christian McBride as artist in residence. Other featured artists include Dianne Reeves, Gerald Wilson, Geri Allen, along with Philly stalwarts Benny Golson, Jimmy Heath, Roy Hargrove, Sonny Fortune, Pat Martino and many more. 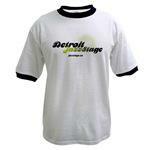 The festival takes place in Downtown Detroit over Labor Day Weekend, August 29th through September 1st 2008. 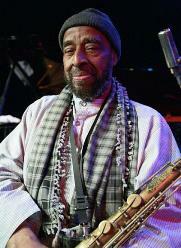 Viva Tirado – The Gerald Wilson Big Band – Recorded live at the 2007 Detroit International Jazz Festival. Blue Horizons – Sean Dobbins and The Modern Jazz Messengers – From the ‘Modern Jazz Messengers’ CD. 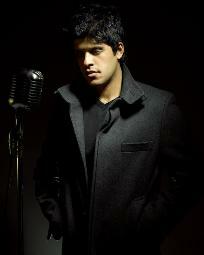 A special thanks goes out to Mack Avenue recording artist Sachal Vasandani for supplying us with our introduction. Go to http://www.mackavenue.com for more information on Sachal and their many other great artists. This episode is sponsored by the 2008 Detroit International Jazz Festival. Go to www.detroitjazzfest.com to find out more about this wonderful end of summer tradition. Your guest for this DJS Jazz Spotlite is the New York-based vocalist-songwriter-bandleader and Mack Avenue recording artist Sachal Vasandani. This fresh, young talent displays a singular, deep-brewed voice and possesses an uncanny sensibility to straddle the fine line between jazz and pop. You will hear a cut from his latest CD, Eyes Wide Open. Vasandani is in the company of his established trio comprised of Pianist Jeb Patton, Bassist David Wong and Drummer Quincy Davis. 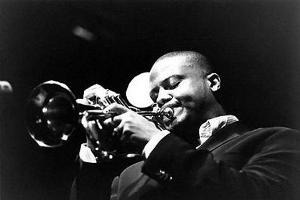 Guests on the CD include Vibraphonist Stefon Harris, Trumpeter Marcus Printup and Guitarist Doug Wamble. The album is produced by esteemed Bassist/Bandleader John Clayton and veteran staff producer Al Pryor, engineered by Joe Ferla and mastered by Bob Ludwig. For more information on Sachal visit sachalvasandani.com. Jim needs little introduction in the jazz world. Professor of Music at the University of Michigan for over 40 years, he has led his Grammy-nominated Chicago Jazz Band for over 31 years, touring across North America and releasing numerous acclaimed records and C.D.s, including a project backing up the legendary Maria Muldaur in an album of early blues classics. He is the author of Jelly Roll Morton- The Collected Piano Music and in late 2002 took on the task of reconstructing the great jazz pianist James P. Johnson’s lost opera, De Organizer, which was given packed performances in Ann Arbor at the Power Center and in Detroit at Detroit Symphony Orchestra Hall. 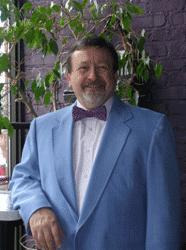 In 2005 he completed reconstruction of Johnson’s other opera, The Dreamy Kid. The two operas were performed together, as Johnson had planned,over several evenings in March 2006, by University of Michigan forces conducted by Kenneth Kiesler and with Dapogny at the piano. The performances took place at the university’s Mendelssohn Theater in Ann Arbor. Recordings of the operas are being edited for issue. 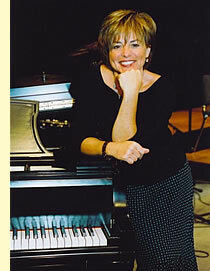 Dapogny was also voted Ann Arbor Current Entertainment Monthly’s 2004 and 2005 “Jazz Artist of the Year”. Jim’s piano playing is powerful, rich, sophisticated and inventive. His cornet playing (popping up in P.O.R.K.’s small group, the Wolverines) alludes to Bix Beiderbecke while being completely “in the moment”. Dapogny’s countless transcriptions of classic jazz music and numerous masterful arrangements give the Rhythm Kings a true world-class library to play from. Jim’s musical direction gives P.O.R.K. a unique and profound sound and keeps alive the true spirit of early jazz and dance music. Listen in as Jim discusses his early influences and the relevance this music still holds today. Additional information on James Dapogny can be found at http://pkorecords.com, and All About Jazz. Alto Saxophonist, and Origin Records recording artist Alex Graham has performed with several of today’s top jazz artists including Wessell Anderson, Nnenna Freelon, Louis Smith, Diane Schuur, Troy “Trombone Shorty” Andrews, The Dirty Dozen Brass Band, Mark Levine, Peter Bernstein, Steve Davis, Joe Magnarelli, Michael Weiss, Aaron Goldberg, Rodney Whitaker, Jim Rotundi, Sam Yahel and Dena Derose. 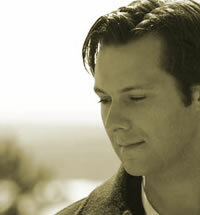 He has performed at festivals and clubs in the United States, Europe and Japan and has appeared on several recordings. In addition to writing arrangements for vocalists Diane Schuur and John Boutte, he has also composed and arranged for small group, big band and studio orchestra. He has taught and lectured at the college level, and is currently teaching “Jazz Performance Workshop” at the Eastman School of Music in Rochester, NY where he is pursuing his Doctorate in Jazz Studies. 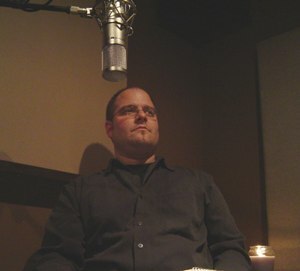 A resident of New York City for 10 years, Alex moved to Mackinac Island, Michigan after becoming the music director at Grand Hotel in 2001. Under his leadership, USA Today has praised Grand Hotel’s music as its best amenity. His latest CD, The Good Life, received significant national airplay in 2006 and was designated “chartbound” by jazzweek.com. Explosion – from The Good Life. Alex Graham – alto sax, Rick Roe – piano, Rodney Whitaker – bass, Joe Strasser – drums. Alex Graham – alto sax, Louis Smith – trumpet, Joe Magnarelli – trumpet, Rick Roe – piano, Rodney Whitaker – bass, Joe Farnsworth – drums. Alex Graham – alto sax, Whitney Ashe – piano, Gary Wang – bass, Matt Jorgensen – drums. 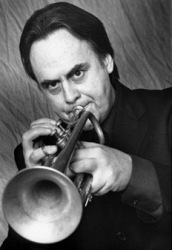 This month we are featuring trumpeter, composer, and arranger Walt Szymanski. Walt began his musical journey from a small home on the east side of Detroit that was constantly resonating with the sound of music. Listening to his mother play and sing the Broadway standards on the family piano and hearing the records of Nat Cole, Frank Sinatra, Dizzy Gillespie and Al Hirt as well as the constant refrains of the ever present Motown sound presented him a tremendous musical foundation upon which to build. Walt discusses his career and the many wonderful personalities he’s encountered along the way.